Apple has reportedly removed 25,000 gambling apps from its App Store in China that flouted the local Internet policies. In a statement given to The Wall Street Journal on Monday, the Cupertino-based iPhone maker said “gambling apps are illegal and not allowed on the App Store in China”. “We have already removed many apps and developers for trying to distribute illegal gambling apps on our App Store, and we are vigilant in our efforts to find these and stop them from being on the App Store,” Apple added. The company, which recently touched the $1-trillion mark, reacted after China’s state broadcaster CCTV, accused the tech giant of not doing enough to screen out gambling and other illegal apps. 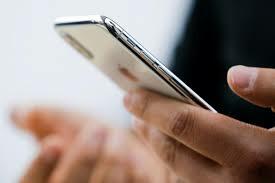 “Apple established its own rules for allowing apps on to its store but did not respect them itself, resulting in a proliferation of fake lottery apps and gambling apps,” the Financial Times reported, quoting a CCTV statement. Apple last year removed apps for virtual private network (VPN) services in China, used to circumvent Beijing’s censorship tools as well as hundreds of other apps, including Skype. Amid heightened trade tensions between the US and China, tech giant Apple in July joined hands with its suppliers to launch a $300 million clean energy fund in China. The “China Clean Energy Fund” will invest in and develop clean-energy projects totalling more than 1 gigawatt of renewable energy in China, the equivalent of powering nearly 1 million homes, Apple said in a statement. Apple in 2017 announced it would invest nearly $500 million in China to build two new R&D centres in Shanghai and Suzhou. In September 2016, Apple opened its first China R&D centre in Beijing’s Zhongguancun Science Park, often referred to as “China’s Silicon Valley”.